In our fourth annual Comics Issue, we reaffirm our belief in the extraordinary power of visual storytelling. It is a form that requires particular skill not only in creation, but in cultivation—the editing process for this issue, led by our team of visuals editors, deserves special praise. At the Weekly, we strive to publish stories that are not just factually accurate, fulfilling basic tenets of journalism, but experientially resonant—true to life on the South Side. The neat grids of many of this year’s comics belie their idiosyncrasies: Squares, rectangles, and circles open onto worlds that are deeply personal, untranslatable, and yet somehow recognizable. Several comics, more and less explicitly, illustrate love letters to places that are sites of personal growth—to the discoveries and losses they reflect back at us—be it the lake or a U-Haul, backyard or basketball court. 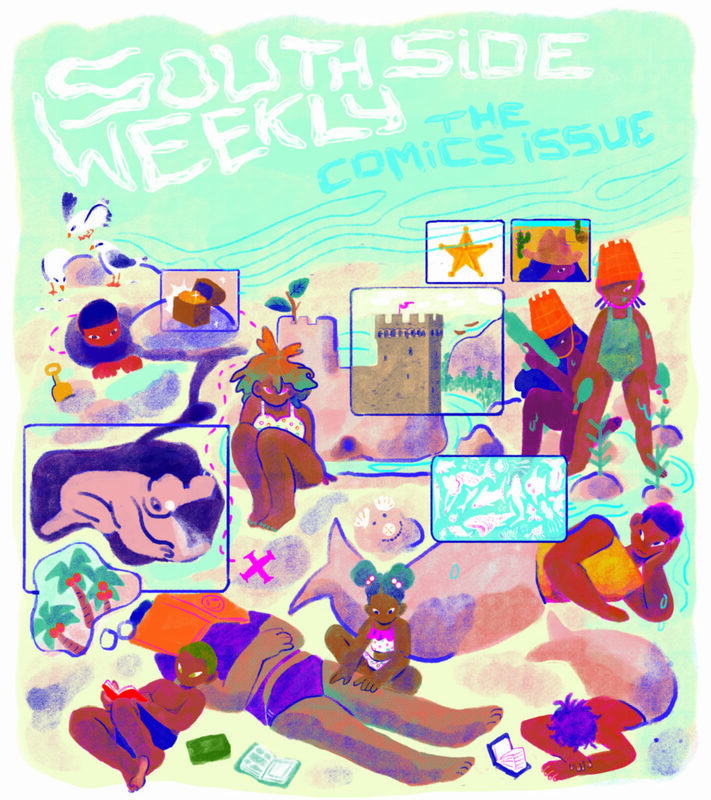 Their sum is a vision of the South Side so charged and colorful, we can only hope you are as touched and inspired by these comics as we are. We could never forget how lucky we are to have access to such incredible visual talent, from, for, and about the South Side. So please read, enjoy, and share this issue with a friend, loved one, or stranger. You never know what truths they might find in it.